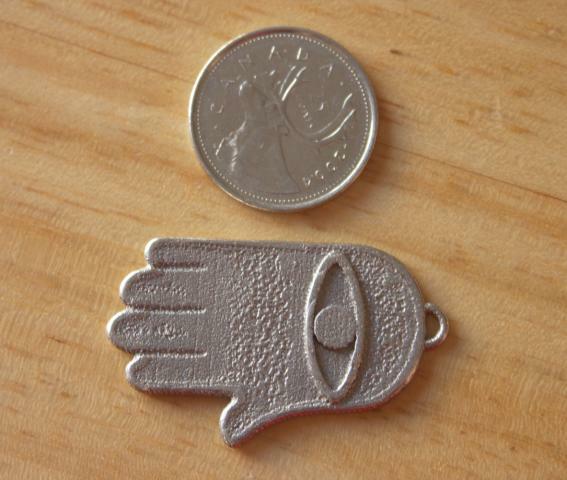 Another suggestion from my wife; a Hamsa Hand pendant. This is in Stainless Steel, 4.3cm in length and approx $13. In WSF material it would be $5. “There are two main styles of a hamsa hand: the stylized hamsa hand with two symmetrical thumbs, and hamsa hands that are not symmetrical and shaped like actual hands. 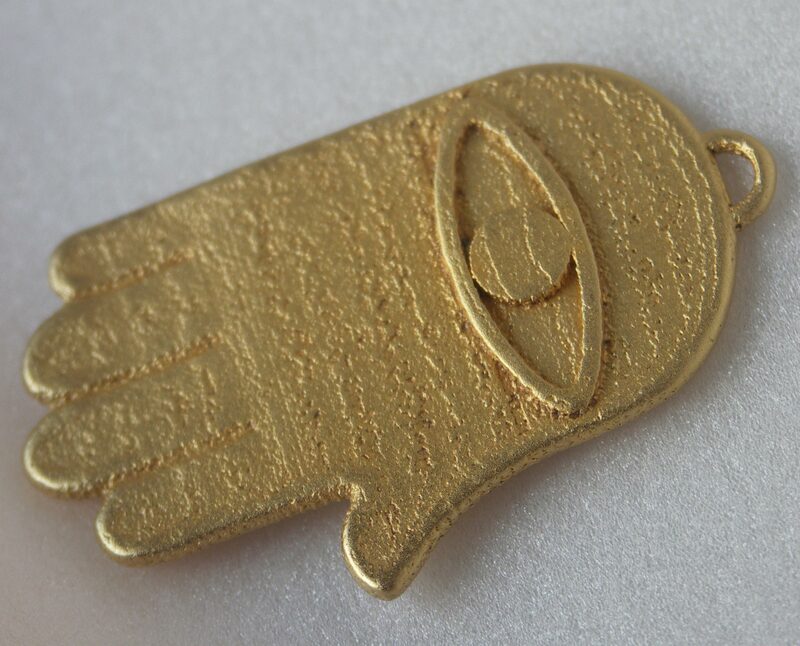 Either hamsa hand can be worn with the fingers pointing up or down. 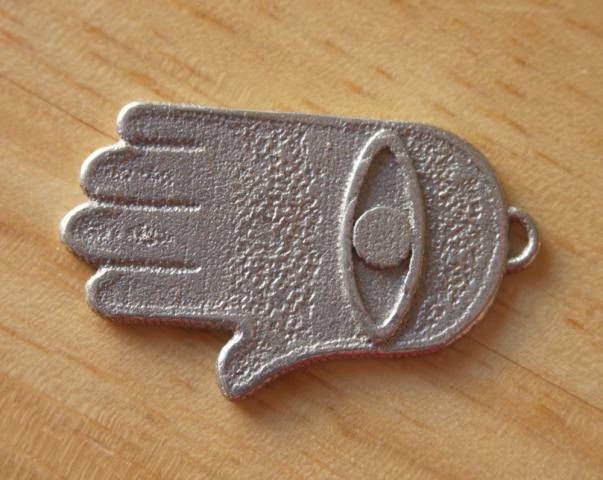 The hamsa is popular as a charm most often worn as a necklace, but can be found as a decorative element in houses, on key chains, on other jewellery items. Many artists use the image of the hamsa hand in jewelry, paintings, sculptures, wall decorations, and amulets. Edited 25th July, 2010, when I added the below photo after I had the item printed with 24kt gold-plate.